In countries where electoral campaigns have historically relied on “one-way” communication strategies such as speeches at campaign rallies, public deliberation—or “two-way” communication between political parties and constituents—may improve the ultimate efficacy of the political process. Researchers partnered with two political parties in the Philippines to evaluate the effect of deliberative campaigns on voter turnout and vote shares. While deliberative town halls did not increase voter turnout, results suggest that they were effective in increasing vote shares by changing voters’ attitudes and making the party’s platform more persuasive among specific societal groups. Public deliberation, as facilitated through town hall meetings, could help both politicians and citizens uncover common interests through the revelation of private information. If policies are generally more reflective of constituents’ interests, deliberation could be used to persuade voters to mobilize in favor of a given platform, increasing party support. In addition, delivering the political platform via town hall meetings may also help that party distinguish itself from its competitors, which in countries like the Philippines rely on “one-way” campaign strategies. Stemming from the Philippines’ colonial history, elite families have historically controlled political offices. To reduce this monopoly, the 1987 Constitution mandated that marginalized groups—such as indigenous people, women, the poor, and youth—must occupy 20 percent of all seats in the House of Representatives. Rather than vote for specific candidates, these seats are filled according to votes for party-lists, a ranked group of a party’s minority candidates. In 2013 (the year of this evaluation), 130 parties competed for 58 marginalized group party-list seats. Two party-lists collaborated with researchers on this evaluation: Akbayan (Citizens’ Action Party) and Umalab Ka. Akbayan is a well-established multi-sectoral party that focused their 2013 platform on women. This election marked Umalab Ka’s first time participating on the party-list, and they concentrated their campaign towards the perceived needs of the urban poor and informal workers. In collaboration with Akbayan and Umalab Ka, researchers evaluated the impact of “two-way” communication town hall meetings on voter turnout and voter share as compared to traditional “one-way” campaigning strategies. In 39 barangays (electoral units) in and around Manila, researchers randomly assigned 13 to serve as the treatment group and host town halls for either Akbayan or Umalab Ka. The remaining 26 barangays served as the comparison group. In treatment group barangays, the hosting party-list began town halls by presenting its platform, including its focus on particular societal groups. Akbayan representatives emphasized policies related to marginalized women, while Umalab Ka representatives targeted their campaigning towards the urban poor. In all town hall meetings, participants spent the majority of the time deliberating the party platform. Party representatives encouraged attendees to suggest amendments, as well as additional proposals for potential inclusion. Upon conclusion, representatives committed to summarizing suggestions and proposals for party-list leaders. In comparison group barangays, parties agreed to not host a town hall, but could pursue traditional campaigning strategies, such as party rallies and distribution of party propaganda. To measure the effect of town hall meetings on voting behavior, researchers collected voter turnout and vote share data from the Philippines’ Commission of Elections (COMELEC). To understand whether town halls affected certain types of voters differently, researchers also surveyed 711 treatment and comparison group voters two weeks after the election. While deliberative town hall meetings did not increase voter turnout, they were effective in increasing vote shares among the societal groups for which the party platforms were designed. Impact on voter turnout: The presence of town halls in treatment groups did not increase voter turnout in party-list elections. 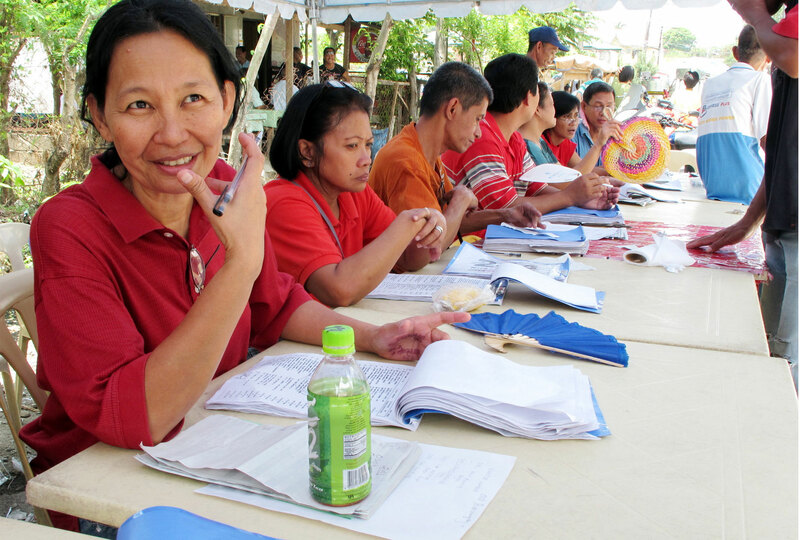 For all barangays, around 60 percent of registered voters cast a ballot in this election. Impact on vote share: Across treatment barangays, party-lists hosting town hall meetings increased their vote share around 1.0 percentage point, on average. This is equivalent to a 50 percent increase with respect to comparison barangays and, in the case of Akbayan, would represent an additional seat if extrapolated to the national level. For both party-lists, survey data suggest that town halls increased voter share among the marginalized groups that each party focused on. Umalab Ka’s town hall meetings generally increased their voter share among poorer and less educated citizens, while Akbayan town hall meetings increased the party’s vote share among women. Evidence from the post-electoral survey provides support that increases in vote share stemmed from the town hall deliberations by strengthening citizens’ attitudes tow ards the hosting party’s platform. Meeting attendees in Umalab Ka town halls were more likely to agree on the importance of poverty-related issues than in comparison barangays, while meeting attendees in Akbayan barangays were more likely to align themselves with gender issues. Wantchekon, Leonard, Gabriel López - Moctezuma, Thomas Fujiwara, Cecilia Pe Lero, and Daniel Rubenson. "Policy Deliberation and Voter Persuasion: Experimental Evidence from an Election in the Philippines" Working Paper, March 2017.